Boxed Bottom Zipper Pouch: Learn to make a zippered pouch that stands on its own. In this class you will make a padded zipper pouch with a boxed bottom that allows the bag to stand up. 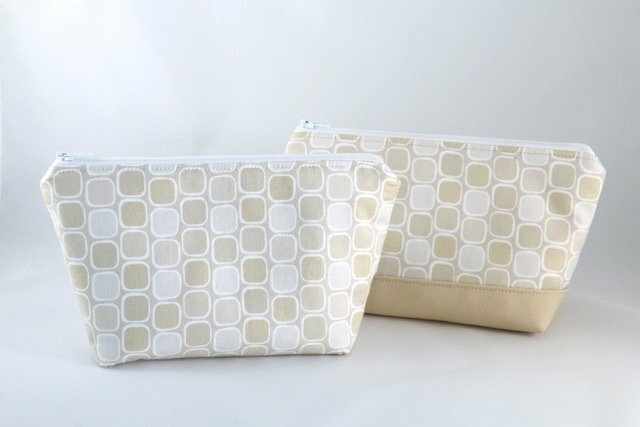 Zippered pouches are great for storing cosmetics and toiletries, sewing and crafting supplies or small items you may need when traveling. Learn to sew in a zipper and see how interfacings help give your bag a better finish. You choose your fabric for a one-of-a-kind zipper pouch. Requirements: Bring to class: Sewing machine in good working order. Basic sewing supplies. List provided when registering.